Are you ready to wrap up some cuteness? 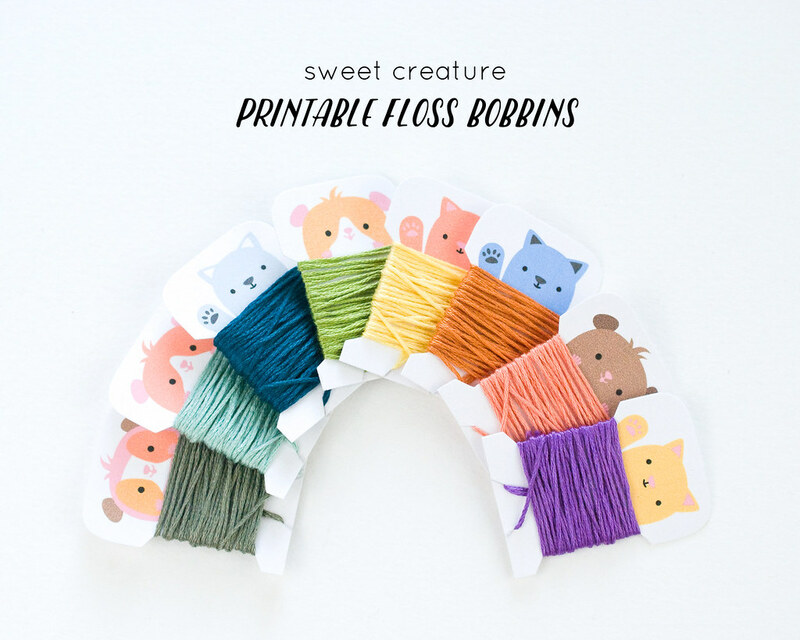 I really wish I had thought of these animal floss bobbins back when my Stitch Love book first came out, because these really are the sweet creatures mentioned in the title! I chose kitties and guinea pigs because, well, that's what lives at my house. And so yes, I'm biased. 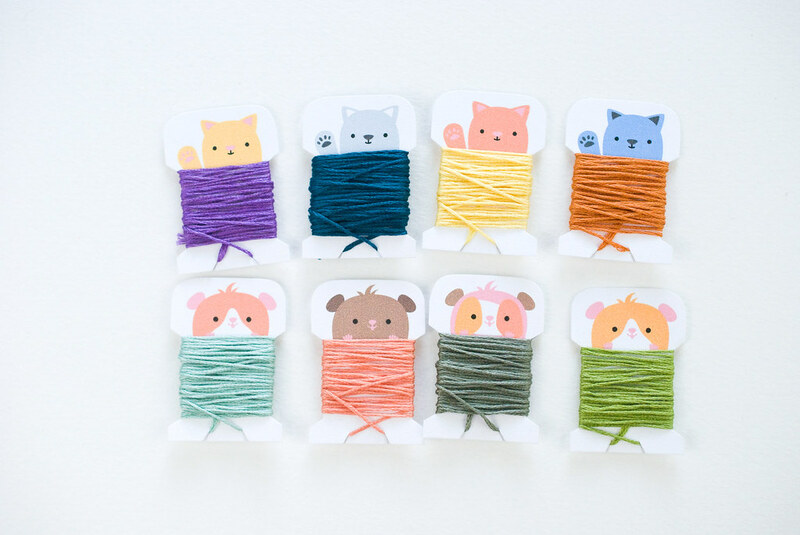 But I hope you can learn to love having these little friends in with your stitching supplies. They promise to be helpful and keep your floss tidy for you! 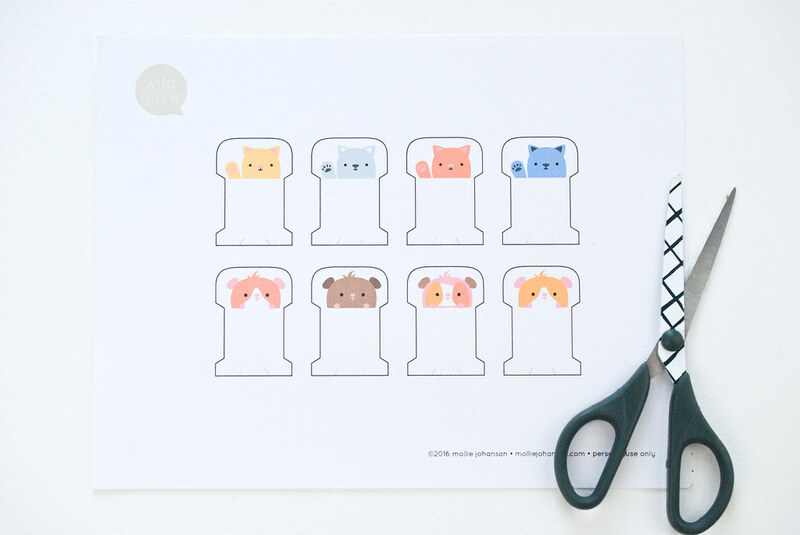 Need some new stitchy friends? Print the PDF on card stock. For sturdier bobbins, I recommend spray mounting the printed page to a second piece of card stock. Cut out the bobbins. The indent is the trickiest part, but you can do it! If you really struggle, try cutting that part with a craft knife. And don't forget the little slits at the bottom! Now it's time to wrap up your critter friends! Get the floss right up to the top so that you don't see where the animal stops. These bobbins are a little larger than the standard kind, or like my happy thread bobbins. But don't worry! They'll still fit in your plastic organizer box. 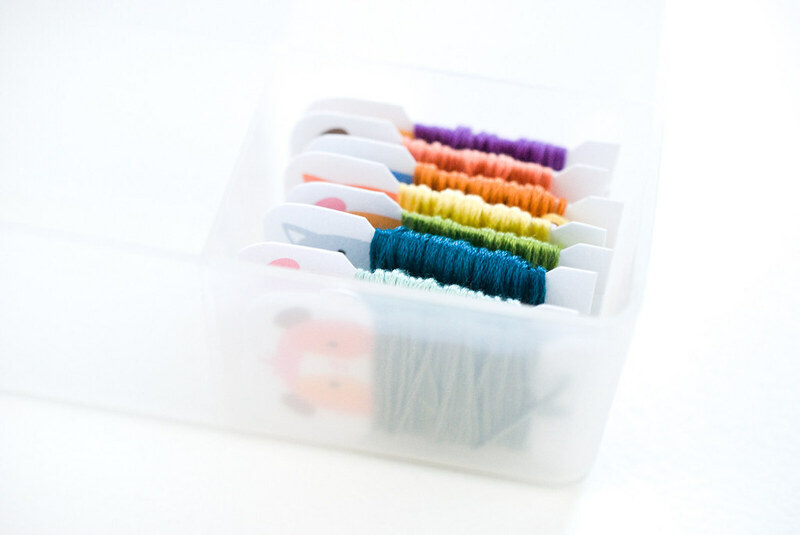 Like the linen-look printable I made for About.com, you just turn them to fit in the compartments the long way. As you work, your new animal friends can keep your company! Oh Mollie, thank you! These are darling! Thanks Mollie, these are so darling cute! 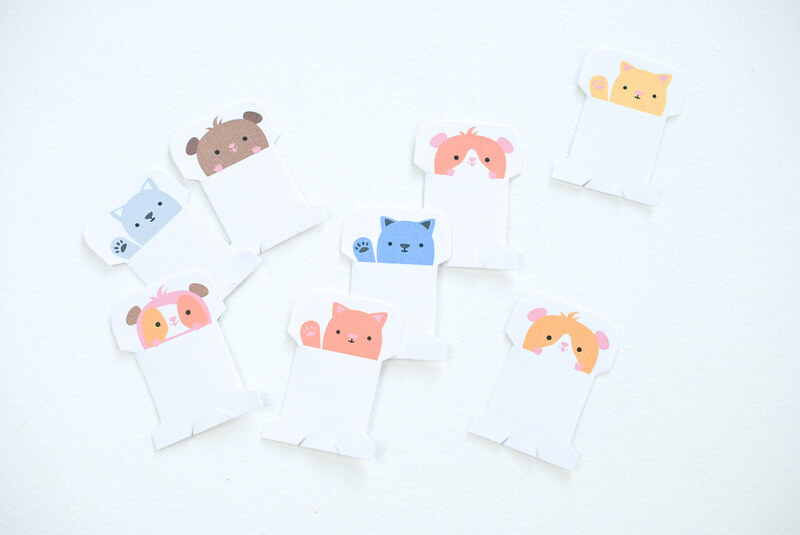 I printed your smiling ones years ago (and laminated them for durability) and I still have them! I'm so sorry. I only speak English. Hi Mollie, thanks so much for these. They are adorable. Can I ask where you got you plastic organiser box? I am in Australia and have been looking for one for years. All the crafty ladies in the US that I follow seem to have them. If you can't get one ordered to be shipped to Australia, let me know and I can see how much shipping might be and I could mail one your way. Thank you, they are super cute. Adorable!